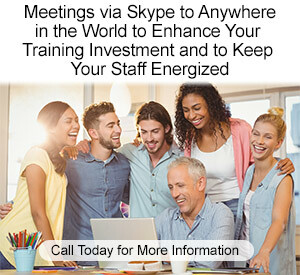 Please select the appropriate solution focused training category on this page, listed according to specialty, to view our solution focused training workshops. Training Workshops for Clinical Staff such as Psychotherapists, Counselors, Marriage and Family Therapists, Psychologists, Clinical Social Workers, Psychiatrists, Clinical Supervisors, Etc. Follow the link below to see all our courses. Solution-Focused Training Workshops for School Counselors, Educators, or Others Wanting Graduate Level Credit for Advancement or Professional Development. Follow the link below to see all our courses. 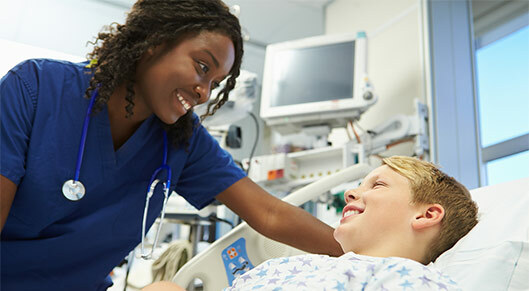 Solution-Focused Training Workshops for Nurses or Others within the Medical Community Seeking Continuing Education Contact Hours. Follow the link below to see all our courses. Training Workshops for Other Professionals, Such as Religious Leaders from All Denominations, Supervisors, Managers, Etc., Who Work with Challenging People. Follow the link below to see all our courses. 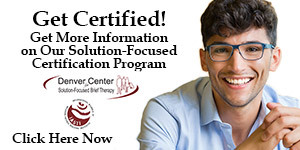 We offer Solution Focused Brief Therapy training, workshops, and courses for therapists, and we offer specialized solution focused training for a variety of other professionals. We are committed to providing the highest quality and most practical solution focused training and support for our students, so they can immediately apply solution focused skills and see results. Our solution focused training teaches solution focused principles developed by Steve de Shazer and Insoo Kim Berg, and offers up-to-date methods of implementation. 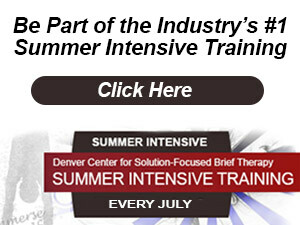 Our trainer, Teri Pichot, is not only an academic instructor who has trained thousands of therapists in the United States and internationally, but she is also an active solution-focused therapist in Littleton, CO. She utilizes the same solution focused skills in her practice every day that are taught in her solution focused training. We offer telephone and e-mail support for our students who are new to solution focused practice when they get stuck.